It’s not always sunny in Cornwall despite what it looks like on social media but don’t worry, if it isn’t beach weather, there’s still loads more fun to be had off the beach! Here’s our guide to the best activities to do on rainy days…. 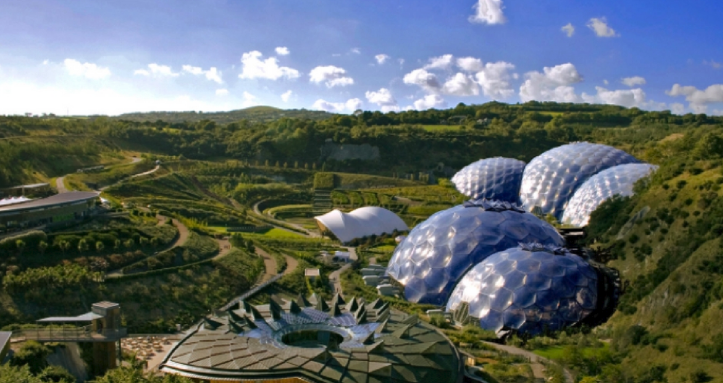 It might be raining outside but at the Eden Project, you will be transported to the Mediterranean and the rainforests of South America. There is walk from the car park to the biomes so make sure you pack a coat but as soon as youâre inside, the layers of clothing can come off and you can wander around taking in all the plants and birds. This summer you can even journey into space. Family tickets are £64 when purchased online. The Eden Project is dog-friendly. 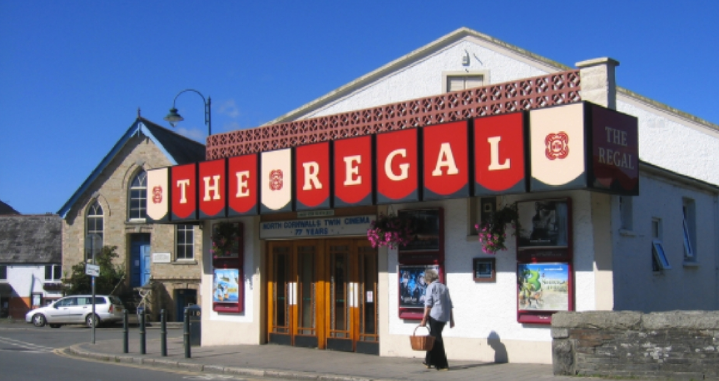 The Regal Cinema in Wadebridge (approx 40mins from Wooda) has been open for 87 years, it has been updated but still retains some vintage charm. Today it shows all the blockbusters including this summer’s new releases; Show Dogs, Sherlock Gnomes and Deadpool2. There is also a cinema much closer to home, The Rebel in Bude, owned independently and traditionally styled, this theatre is packed with unique characteristics you won’t find in an Odeon. For the latest film listings, click here. The weather really isn’t a problem when you’re in the sea catching a wave, the rain can make it even more atmospheric. Some of the best surf conditions are on rainy days so don’t let the Cornish mizzle (that’s mist and drizzle) put you off. 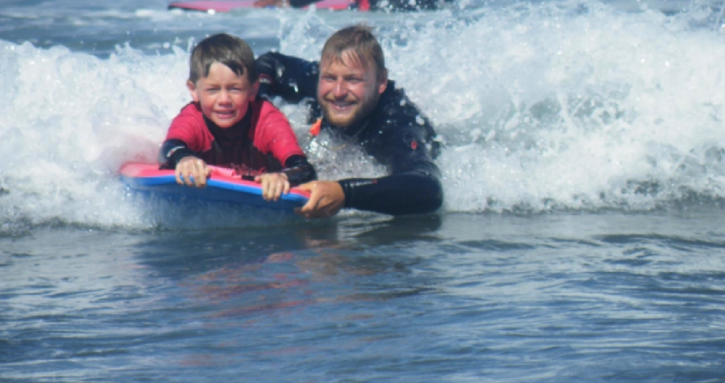 We recommend learning to surf or hiring equipment from Atlantic Pursuits in Bude. Lessons start from £30 per person. We have a small soft play area situated next to The Courtyard at Wooda, it is open all day and free for guests staying at Wooda to use. 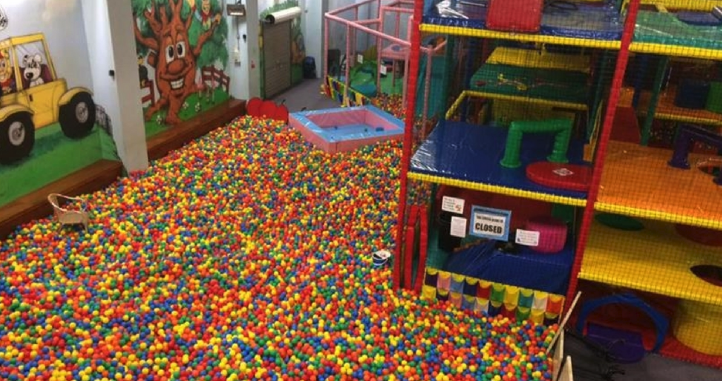 If you are looking for an indoor play area that will keep the little ones occupied all day, try The Venue it has a ball pool they can dive into that will keep them occupied for hours allowing you to relax with a coffee and a slice of cake. It’s raining so it is most definitely a reason to eat cake. As if we really need a reason to eat cake! Enjoy a Cornish cream tea (jam then cream) with a view so you can make the most of watching the weather roll in across the sea, don’t forget your camera as it is often too beautiful not to capture. 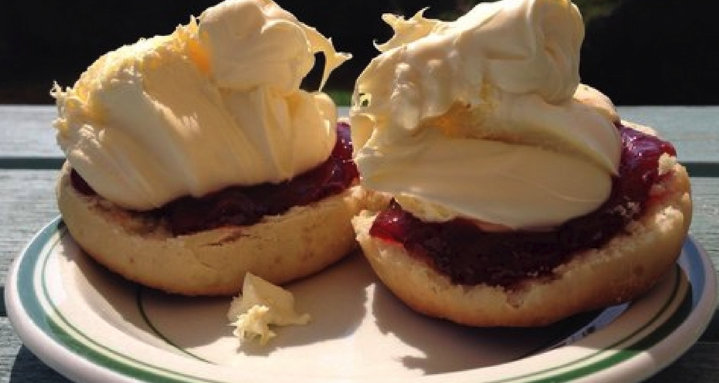 Our recommend spots for a spot of tea are; Boscastle Farm Shop, perched on the headland North of Boscastle, it has beautiful views of the coastline or a little closer to home is Life’s A Beach or The Barge both are in Bude town centre, please pop into reception and ask for directions. Cornwall is home to some of the best spas in the UK and when the weather is bad what better way to warm up than a with a hot tub and a sauna. The Scarlet is an exclusive spa that overlooks Mawgan Porth Beach, just outside Newquay. It focuses on holistic wellbeing, we can feel the good vibes just from writing about it. It is advisable to book ahead. Other spas we would recommend are Bedruthan Steps Hotel and Spa, Watergate Bay Hotel Spa, Fistral Beach Hotel and The Headland Hotel and Spa. On wet weather days the spas across Cornwall become very busy so if the weather is looking a little iffy early on the week, book ahead to avoid disappointment. Put your coat and wellies on and go for a stomp through the woodland spotting pixies along the way. The woods are fairly sheltered so on drizzly days you are quite protected. If you have nowhere to dry all your wet gear, please use the laundrette, we have two tumble dryers as well as places to hang wet clothes. If sport is more your thing then compete with friends and family at Badminton in our Sports Barn, open daily, it is only £5 to hire the court and equipment can be collected from reception for a £10 deposit. Don’t forget the TV and games room is also open daily. Splash Leisure Pool is a 5 minute drive from Wooda and has daily leisure sessions which turn the huge swimming pool into a fun water park, the waves are turned on, the flumes are open and inflatables are welcome. Please call the leisure centre on 01288 356191 to find out the time the next leisure session will be taking place. If you would like some more rainy day inspiration then please pop into reception where we will share our local knowledge. After a day in the rain get warm and cosy with dinner at The Courtyard serving food from 6.30pm every evening throughout Summer.